Magnificent Entrance to the University of Texas campus, one of the South's leading Universities. 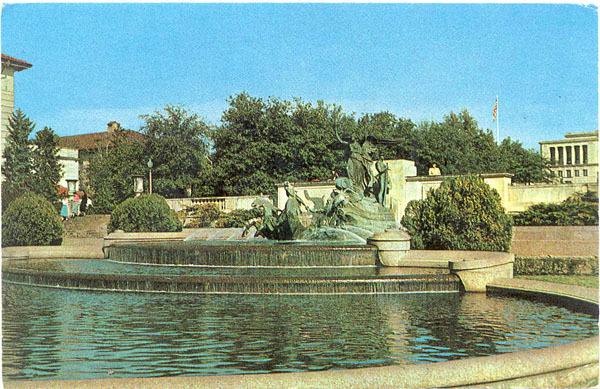 Completed in 1932, the fountain was donated to the University of Texas by Major George W. Littlefield, benefactor of the University. Take care, please give my regards to Mr. Long.